This has been a curious beginning to our New England winter. Very little snow and warm temperatures. In fact, my fiancé was able to plant spring bulbs on December 25th because it reached 57 degrees! We didn’t get out first light snow (mainly ice) cover until December 29th. Yes, quite curious winter weather. I must say that though I quite glad that winter is finally pulling itself together, the below article I wrote for the Ashfield News was already submitted a day before the winter-mix came in. As I meandered along, my eyes caught sight of a white elongated blur dancing on the brown of the dirt road of early December. 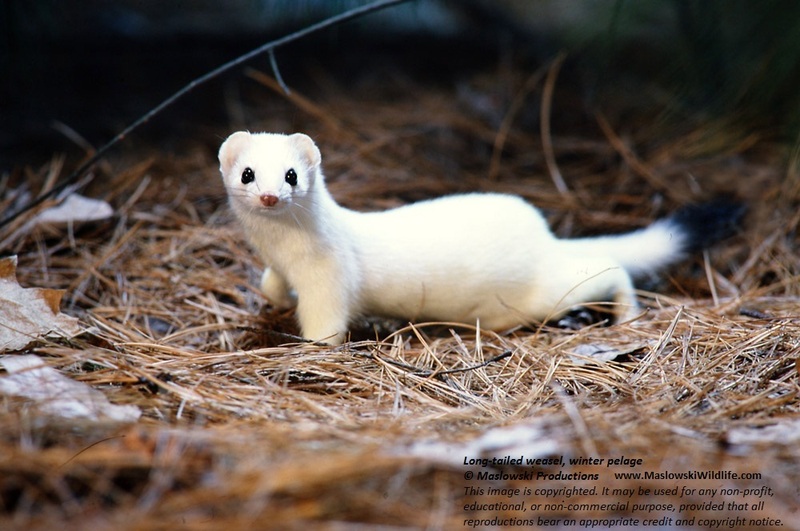 “You’ll catch your death,” I thought, concerned as I watched the long-tailed weasel – a long white slinky body with a long white black-tipped tail – scamper into the brush. Internally the body knew it was time – the season was changing, days shortening, nights lengthening, and it was getting colder (well, occasionally anyway) – but there was no snow. So trading a brown coat for a white one before the snow takes up residence in the hills makes life a dangerous occupation. A hawk could spy upon this tiny predatory morsel as it also hunts for mice. Still, did the weasel take notice that his coat did not match the ground? I observed no fretting about. More frolicking than fretting in a weasel’s own special way – bound bound scamper bound bound dance around in a circle bound bound. It’s hard to worry about such an exuberant creature; their bounce is infectious and their face is oh-so-cute so that even when he disappeared in the undergrowth, I called out, “Hey Weosule, want to catch mice in my basement?” A crow’s garbled chuckle overhead was the only reply. 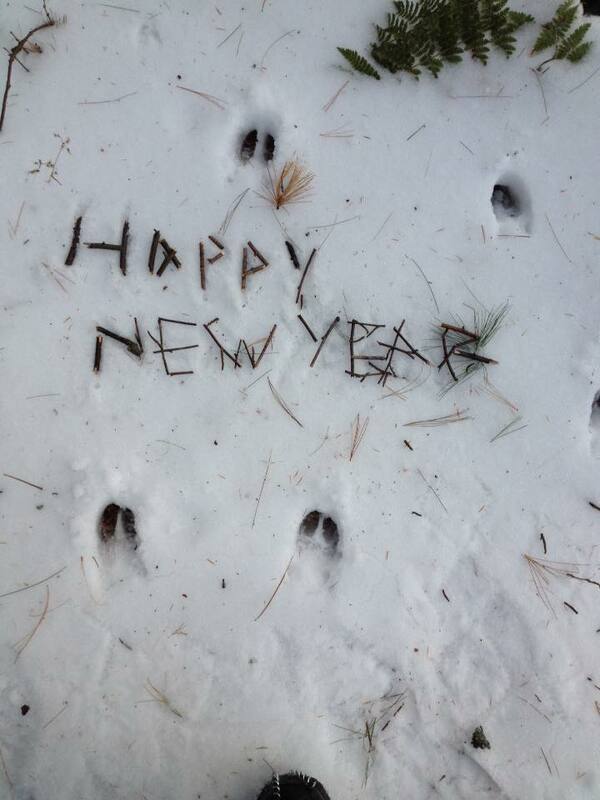 But my invitation still stands – even when the snow (finally) flies. Winter holidays have come and gone, Recycled wrapping paper is neatly folded for next year’s gifts. Adorning lights and festive ornaments are gently packed away and all the holiday candles have burned down to small hardened puddles of wax. And most importantly old and new acquaintances are remembered fondly in address books and digital contacts. But where is the snow? It’s winter. Why is the snow not yet blanketing the landscape? We are all waiting for the snow: mother black bears plea for sleep before the push of birth this month. And human children wish for snowballs to throw and icicles to eat and snow-people with carrot noses and powdery snow to fall into and make snow angels. Barred owls sing for the signal that mating season is about to begin and chipmunks dream their front doors stop being so drafty and voles pray for the relative safety of the subnivean layer. New England needs the cold to keep certain critters at bay: temperatures need to be minus 4 to 5 degrees Fahrenheit for several days to kill off the invasive wooly adelgid who are eating their way through our eastern hemlocks, an evergreen that creates deep shade and cool sinks in our forests. And to stave off the (also invasive) emerald ash borer, studies suggest that temperatures must plummet to minus 30 degrees! This news does not bode well for our Ashfield ashes. And I found 4 deer ticks on me in late December. That should not be. Not just because it feels wrong to be worrying about Lyme disease in winter but also because deer ticks retreat to the duff under the snow and tend to be less active in freezing temperatures. So pray for snow and freezing temperatures. Sing “let it snow.” Revel in the memory of the sensation of cold feet warming by a fire after a morning snowshoe walk in the woods. 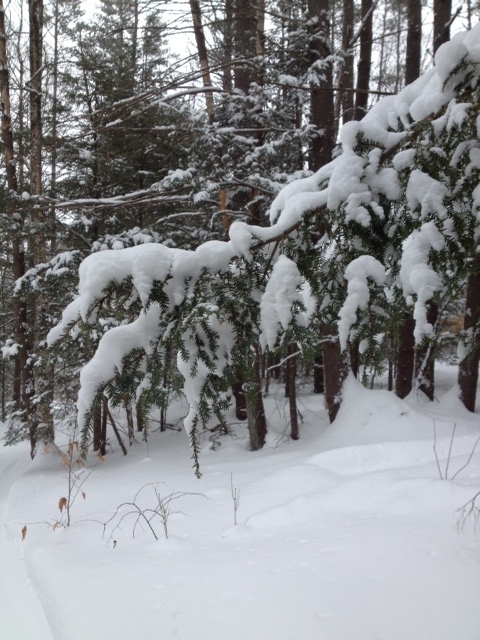 Rejoice at the idea of a “snow day.” Celebrate the thought of sore muscles after shoveling through 2-feet of snow. (Be sure to have a massage therapist on hand for this one!) This is New England after all. We must have snow. 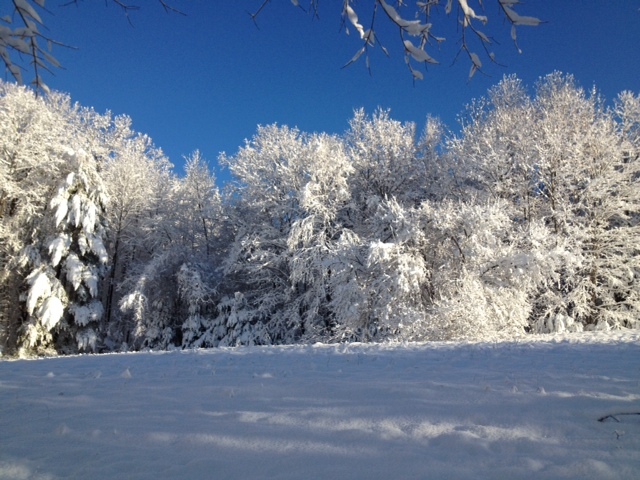 Lots of snow. This article appears in the Ashfield News January 2016 edition. 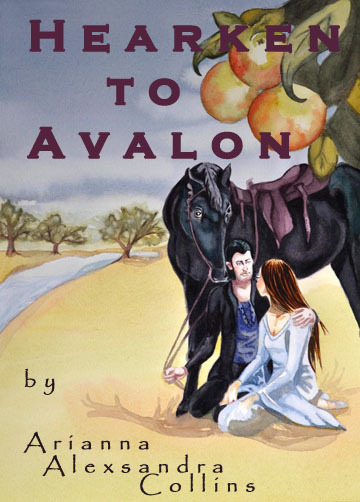 Purchase Hearken to Avalon directly through the publisher! This entry was posted in Natural History, Natural Science and tagged Arianna Alexsandra Collins, eastern hemlocks, Into the Outside, Purpose of Cold and Snow, Weosule, wooly adelgid. Bookmark the permalink.